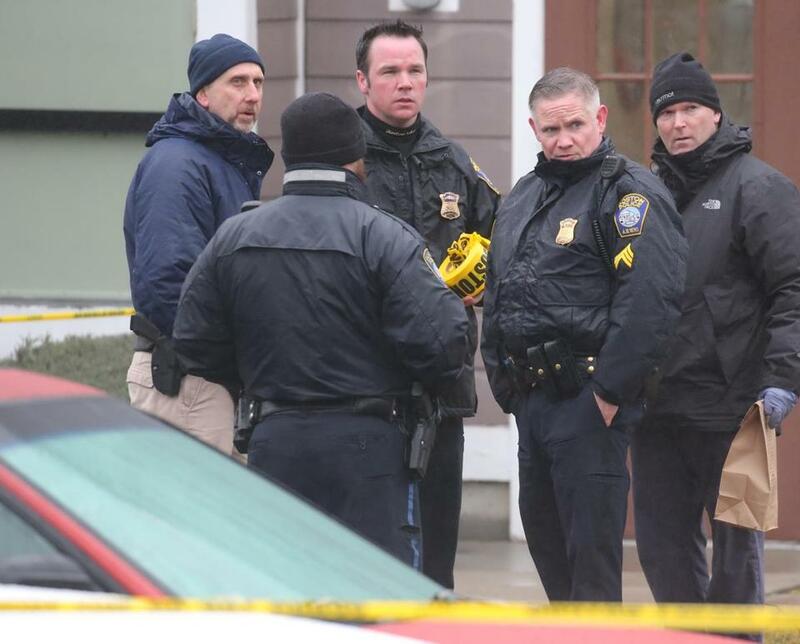 Police investigated a shooting near an elementary school Tuesday in Mission Hill. No injuries were reported. A Mission Hill school was put in emergency “safe mode” on Tuesday morning after a report that gunshots had been fired nearby. Boston Police said there were no reported injuries, and they were trying to verify whether accounts of the shots were accurate. However, the Maurice J. Tobin K-8 School on Smith Street was secured as a precaution around 10 a.m.
“The Tobin School was placed into safe mode as a precaution for about 20 minutes, around 10 am today, due to police activity in the neighborhood,’’ Boston Public Schools spokesman Daniel O’Brien wrote in an e-mail. Police had previously said they recovered ballistic evidence at the scene. Later, investigators towed an older-model matte red Acura from a parking lot a block away on Horadan Way. The vehicle appeared to have a bullet hole in the side. Shortly after the incident, police blocked off an area covering multiple blocks of Smith Street, Turquoise Way, and Horadan Way. One neighbor said he and his wife were awakened by what sounded like four or five shots blasts coming from the area near that parking lot. There is a daycare center nearby. He said his first thought was with the children. “We looked outside first because the daycare is next door,” he said. The man asked not to be named because of fear for his safety. Though the school was in safe mode, the daycare center’s staff said they did not learn of the incident until after it had been resolved. Paul Mayes, who works at the center, stepped outside about an hour after the report. He said he had not heard or seen anything, but he was horrified over the prospect of violence so close to the children inside and at the nearby Tobin school. “There are kids in these windows,” he said, gesturing at the facade of the center. “Let’s have it never happen again in this part of town. There’s too many schools — too many things could happen there.